Thé Pour un Été is a perfume by L'Artisan Parfumeur for women and was released in 1996. The scent is fresh-floral. It is being marketed by Puig. Probably doesn't say anything to very few people around here. This is a beautiful park-like garden, which was laid out in an old quarry. With rare plants and beautiful places and views. And a beautiful Indian tea house - shady and cool. With delicious English tea and cake. For me one of my favorite places on the Inser Ischia. That's where Thé Pour un Été always takes me. The start reminds me of a good cup of Earl Grey, then the fragrance becomes wonderfully flowery with lots of jasmine and a nice teen note. The base is very woody and very pleasant, especially if you like cedar in fragrances very much. Not a great fragrance, quite simple but still high quality and very noble made. I'm not a friend of great fragrances anyway, I like it more linear. 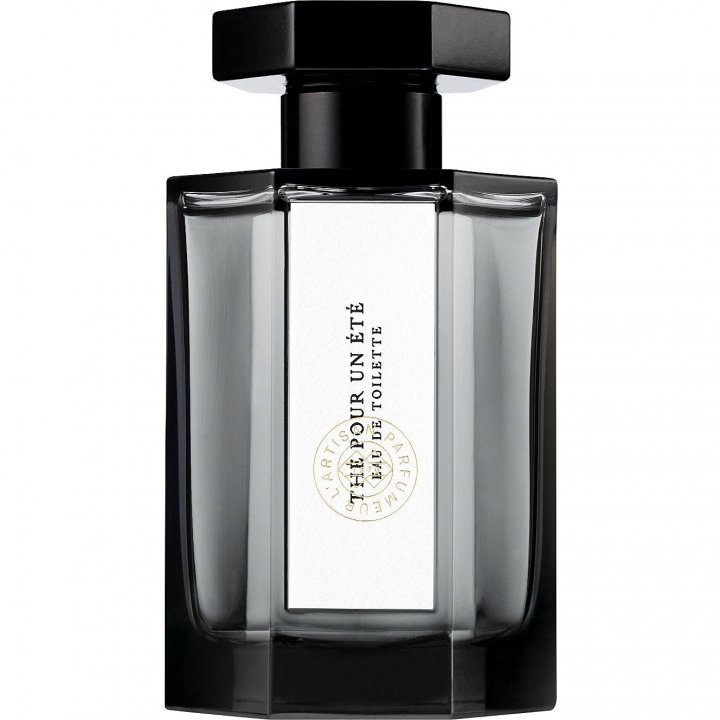 Thé pour un Été opens with a very comfortable citrus scent then moves to a combination of green tea and jasmin. The jasmin has a slightly smokey earthy vibe like the real ones. The drydown is a gentle sweet mint scent on me. A pleasant and soothing fragrance. However, it doesn't stay long on me. The tea and jasmin phase has a soft sillage and lasts about 2 or 3 hours max then comes the drydown extremely close to skin. To smell it at this time I have no choice but stick my nose on my arm. I thus suggest testing before you buy to see if it lasts on you, though I think there are still other intereting and cheaper green tea scents out there. THÉ POUR UN ÉTÉ is a nice, green fragrance. I was hoping for more tea, but unfortunately other notes suppress tea here. It is closer to the unisex than the lady category on the range. Lonvegity is average, sillage is a bit too discrete for my taste. The scent is really fresh and invigorating, but this tea is not my cup of tea. The initial impression of iced black tea with lemon is quickly overtaken by an intense green tea and supremely natural jasmine flowers that linger softly on my skin for a good 8-10 hours. 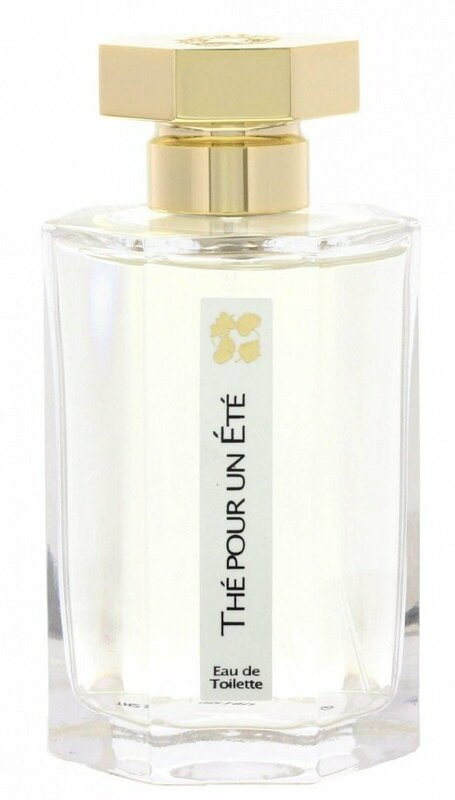 The Pour un Ete constantly maintains its integrity and never diminishes into a musky, nondescript fragrance like all the other jasmine green tea perfumes I have tried. Throughout the day I find myself daydreaming that I am in a little village in India, along the Ganges, baking under the sun and sniffing bushes full of white flowers. I wish this had more projection, but considering I may never find a jasmine green tea this good again, I can live with it. Spraying a bit on the inside of my clothing helps. SUMMARY: Lazy afternoon tea in Bengal. Write the first Review for Thé Pour un Été!